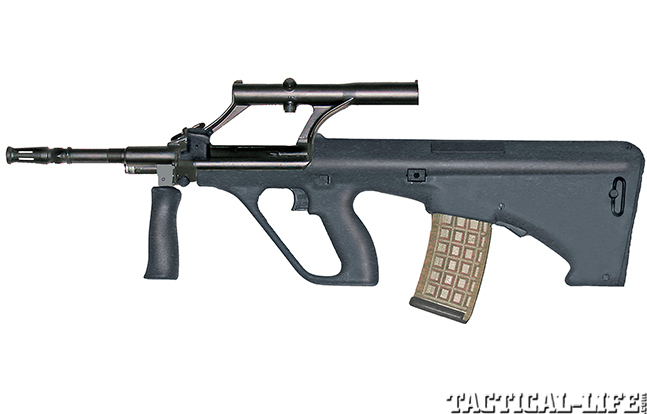 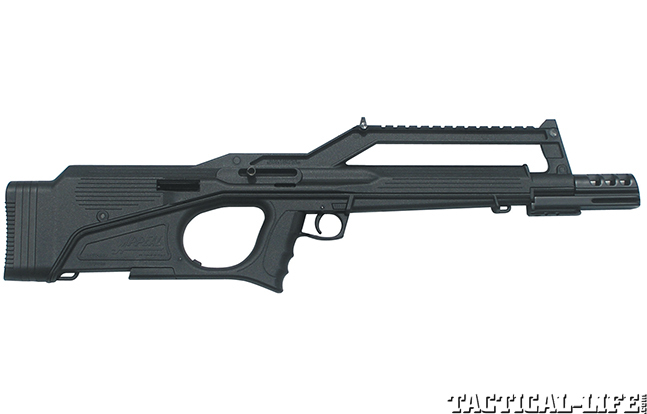 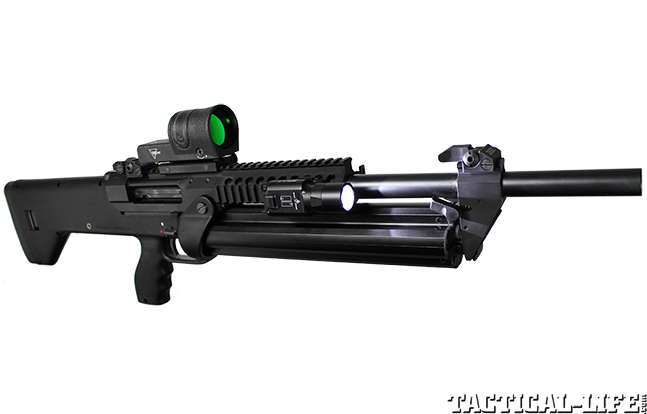 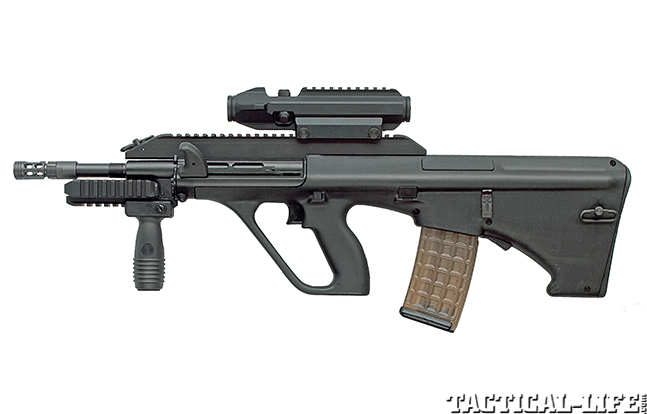 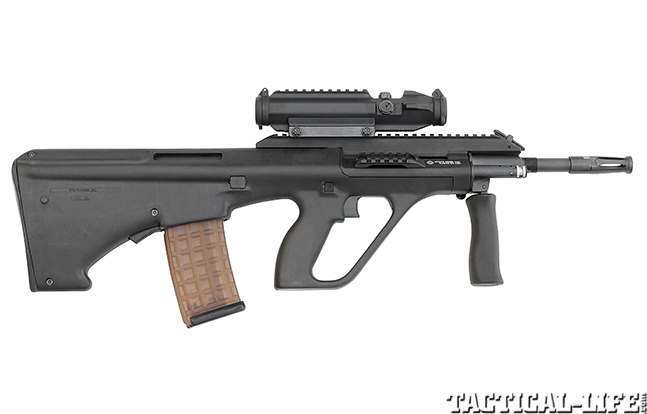 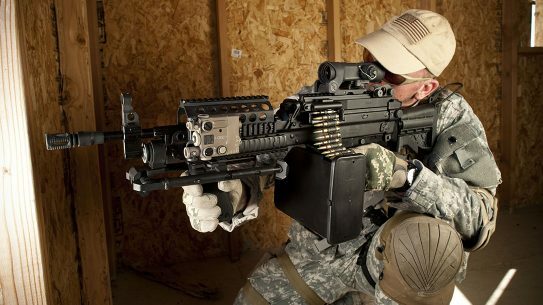 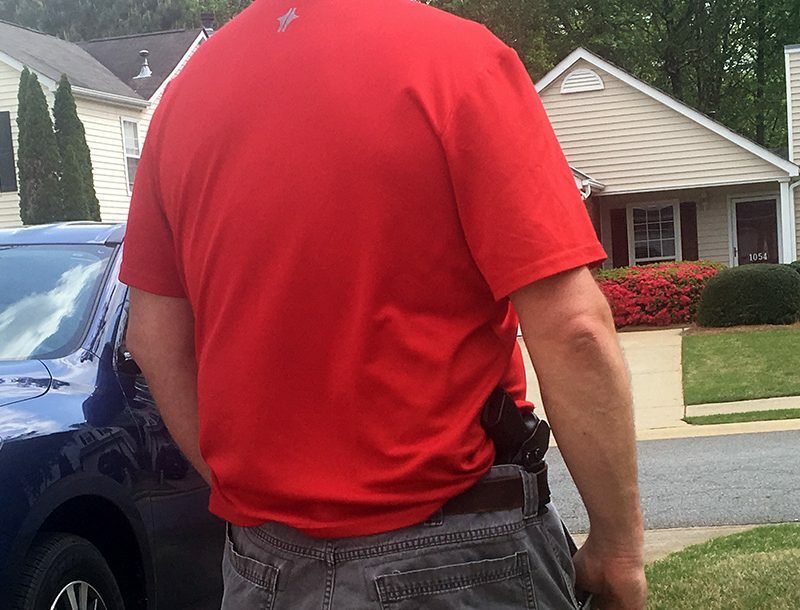 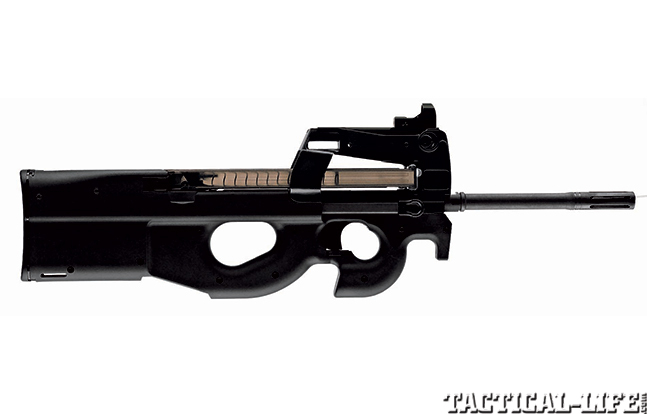 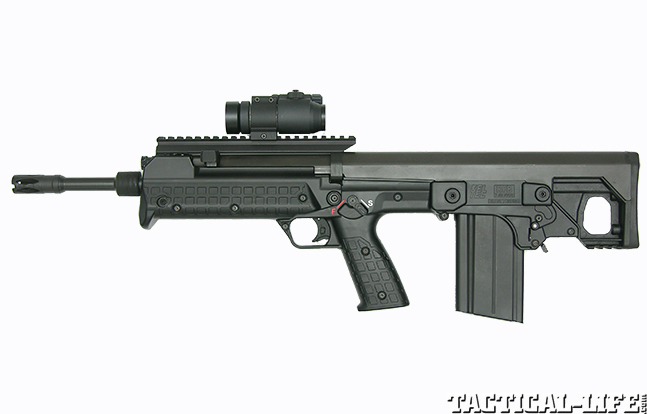 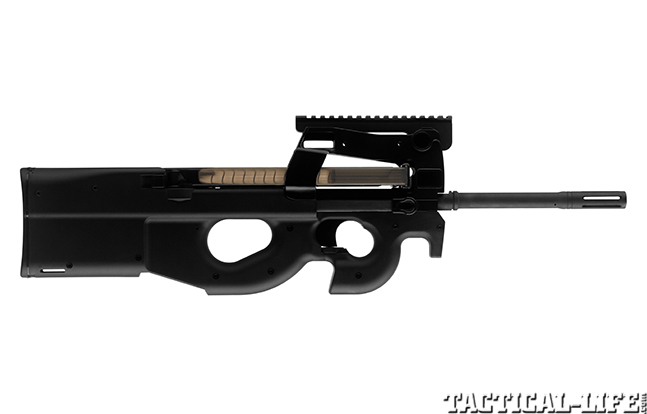 A “bullpup” weapon, by definition, has a design where the action is located behind the trigger group. 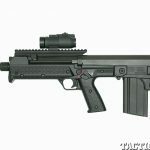 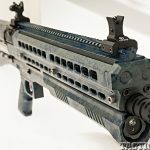 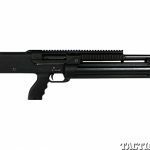 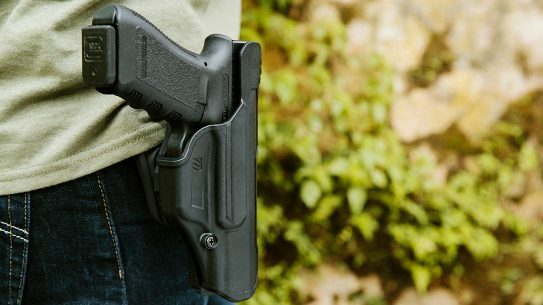 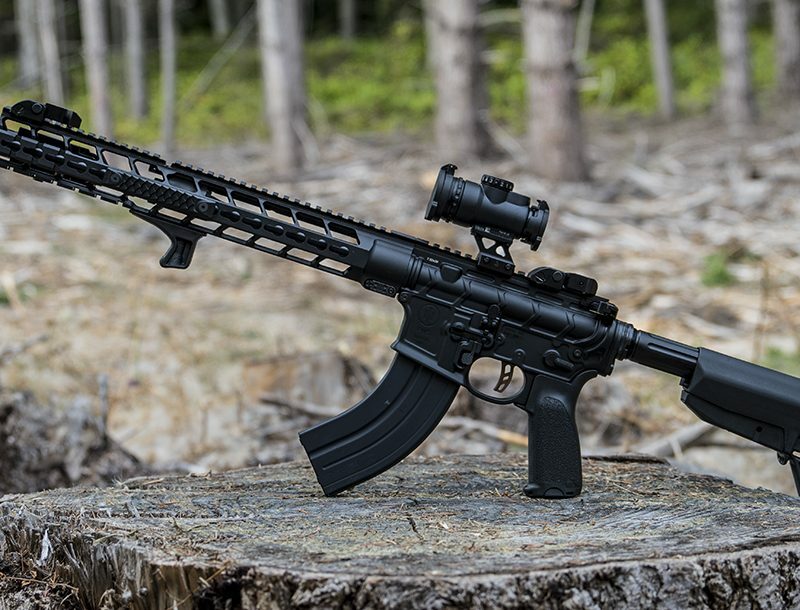 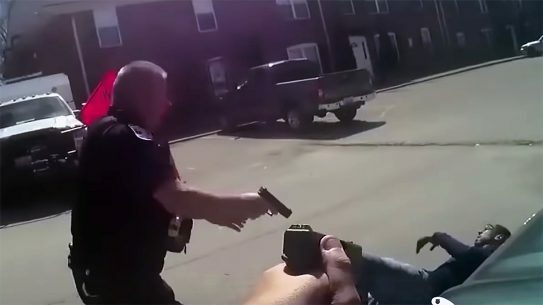 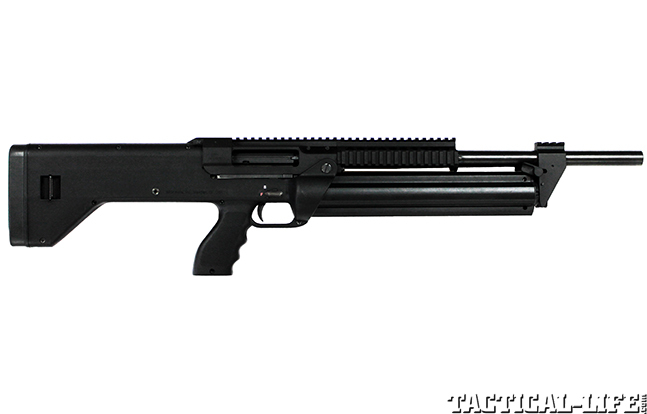 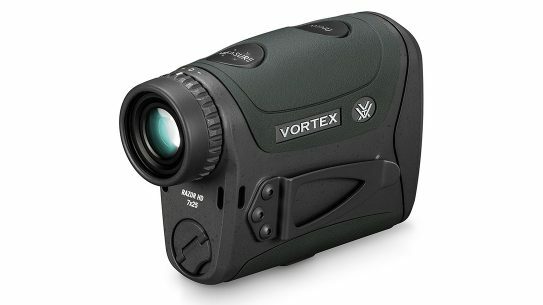 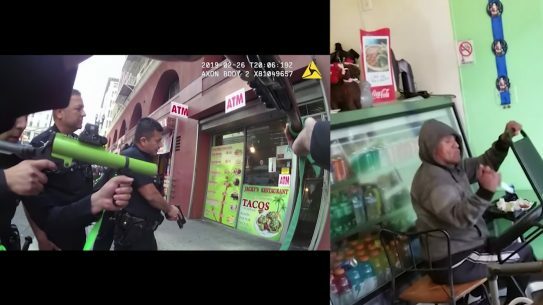 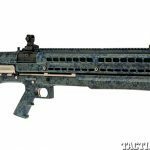 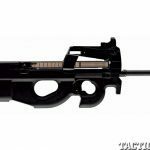 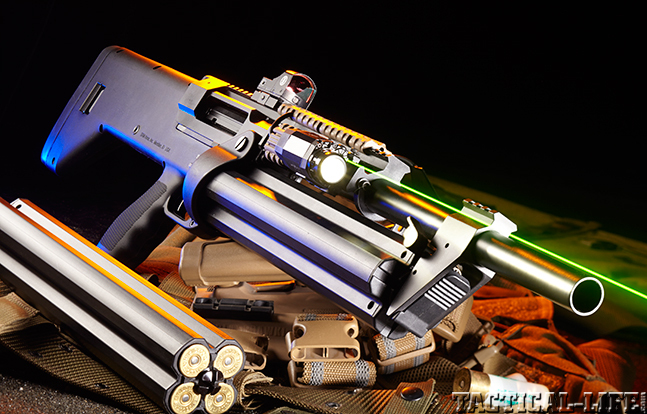 The action is built into the buttstock, thus significantly reducing the overall length of the weapon while maintaining the same full-length barrel of a conventional rifle or shotgun. 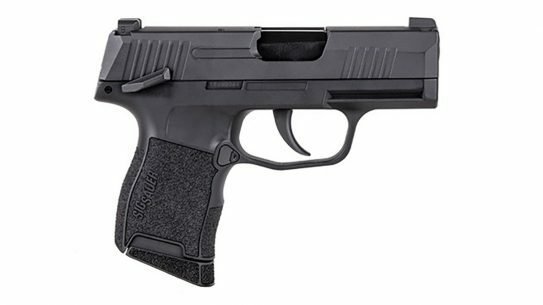 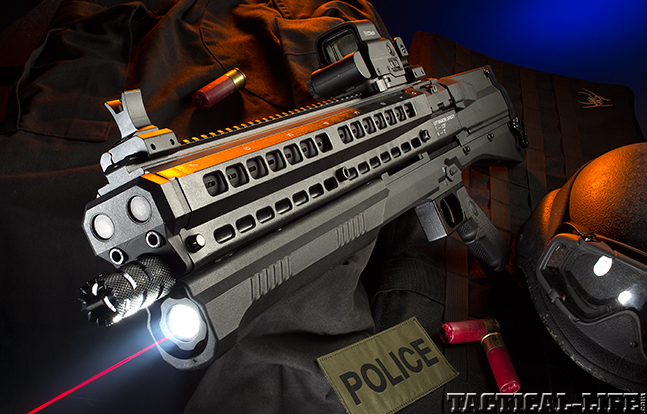 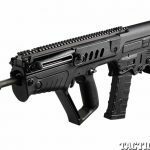 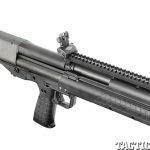 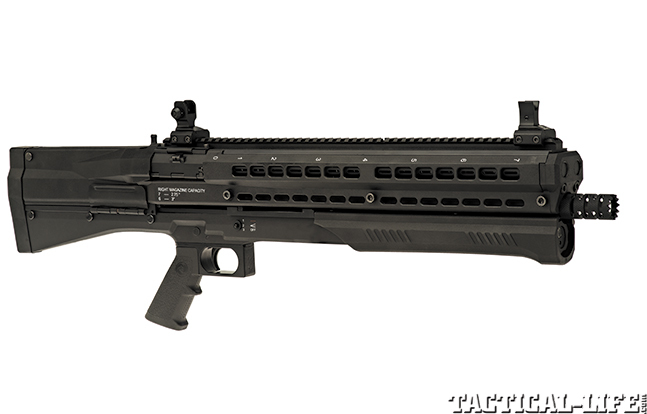 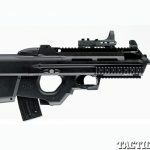 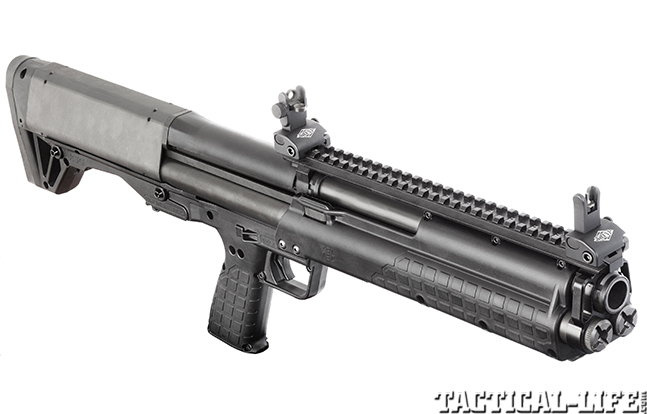 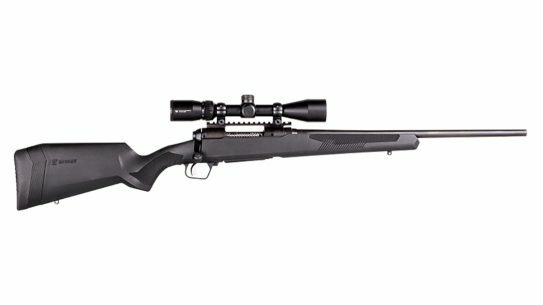 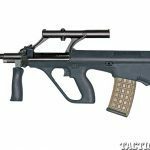 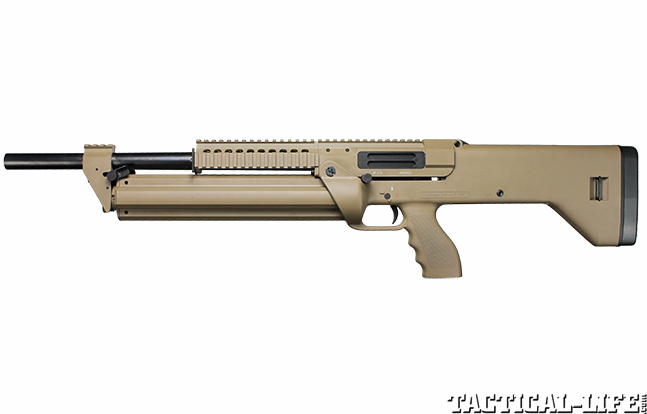 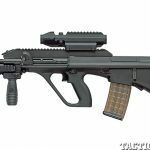 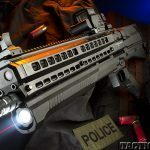 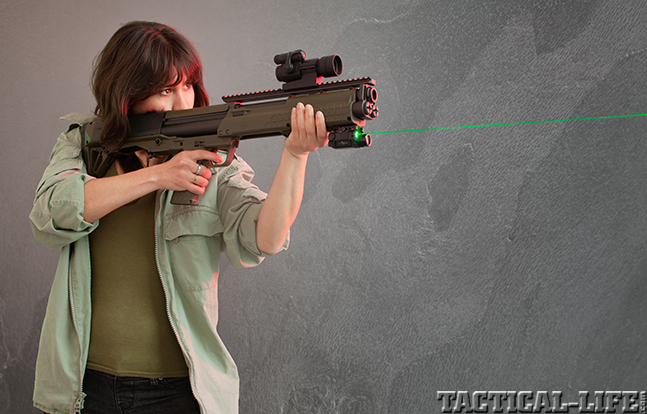 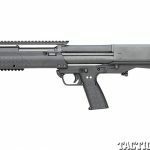 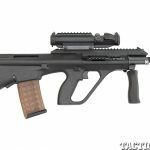 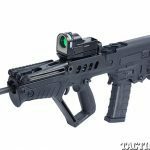 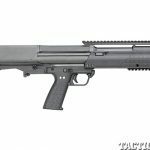 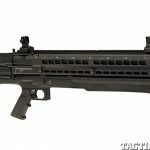 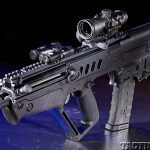 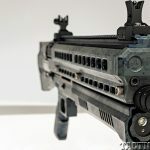 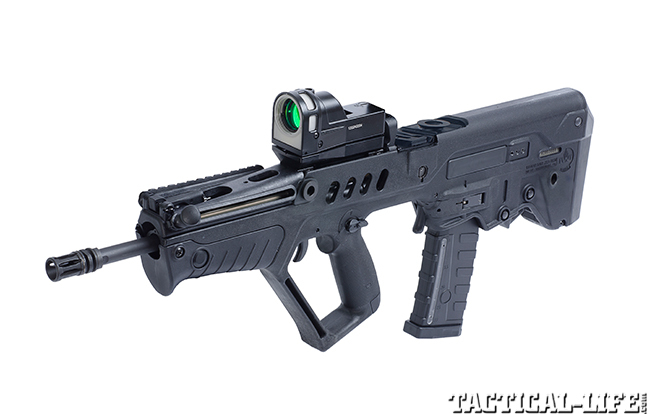 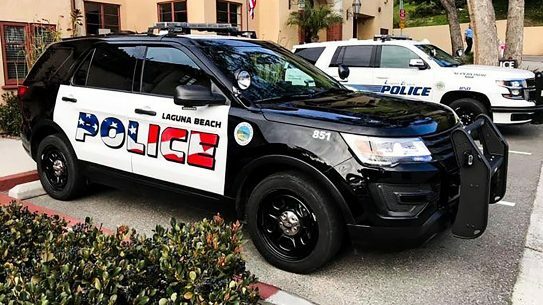 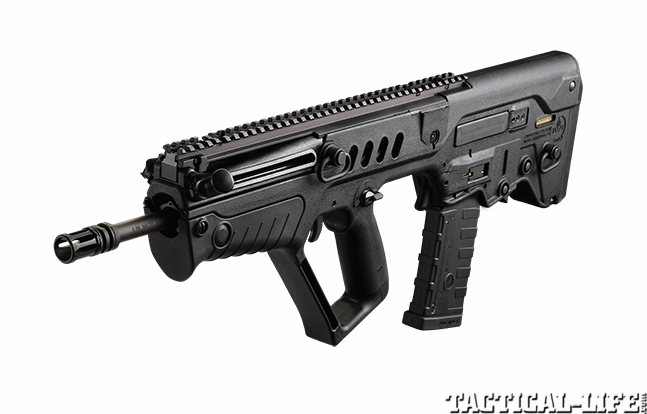 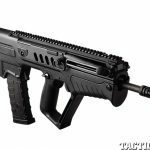 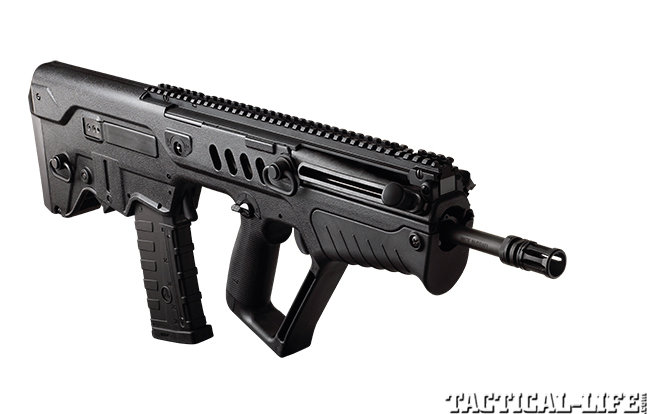 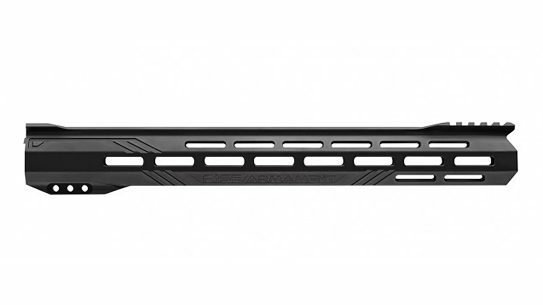 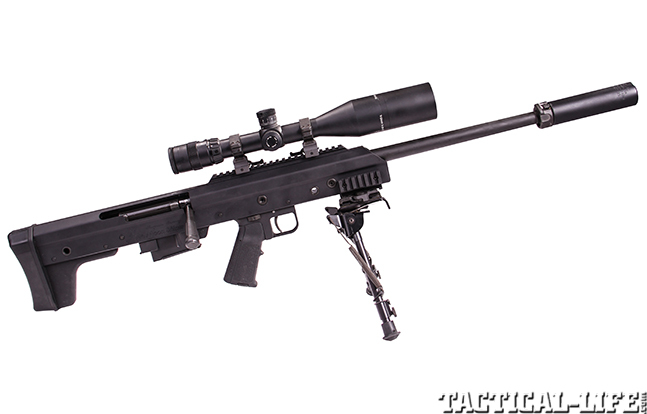 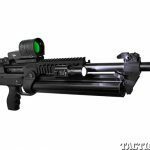 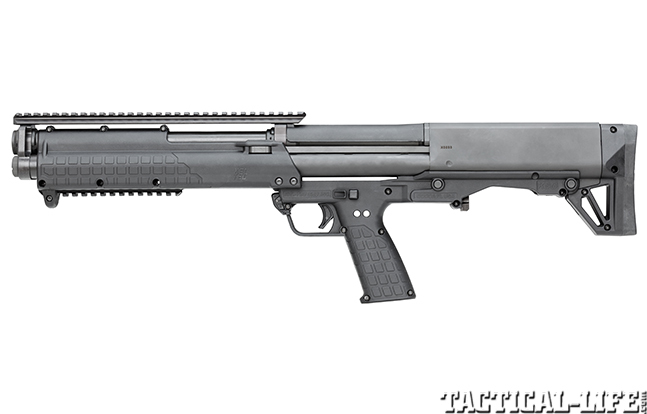 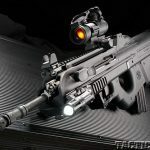 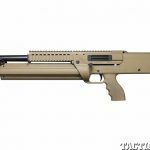 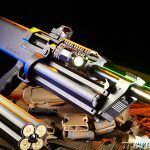 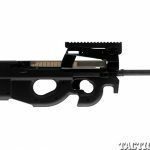 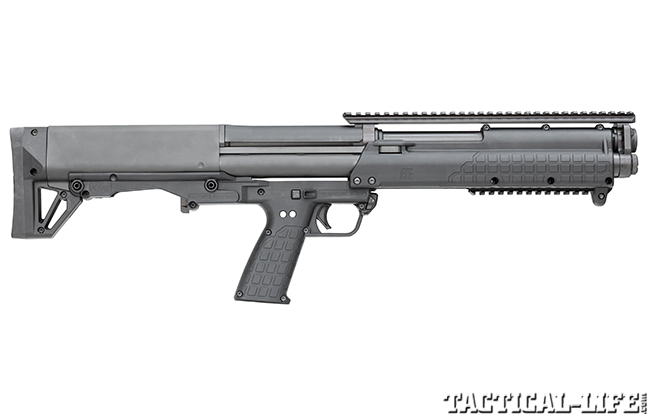 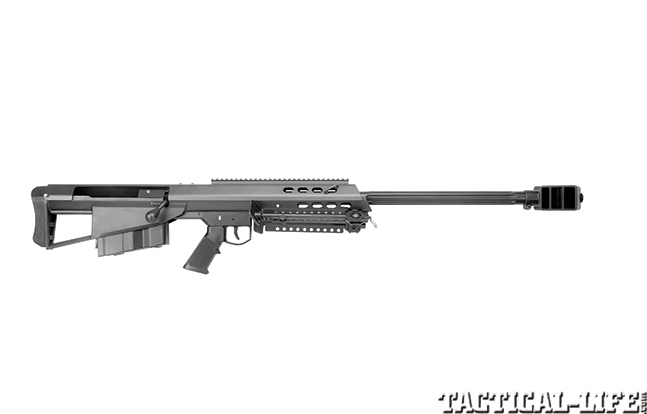 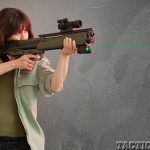 This shorter overall length gives the bullpup better maneuverability in confined environments—creeping around corners, moving through doorways and rooms, getting in and out of vehicles. 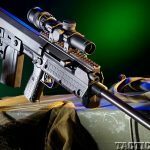 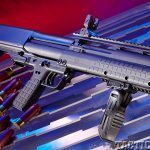 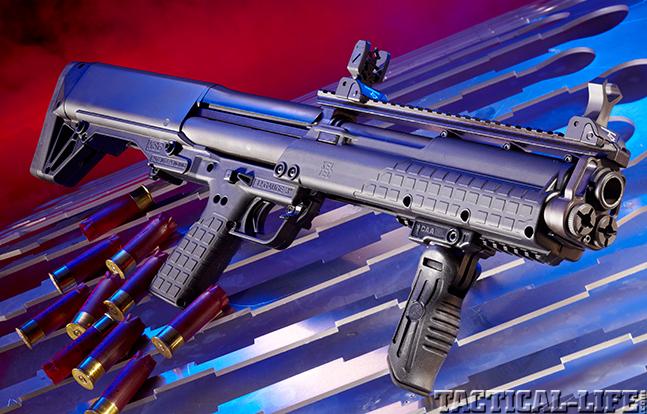 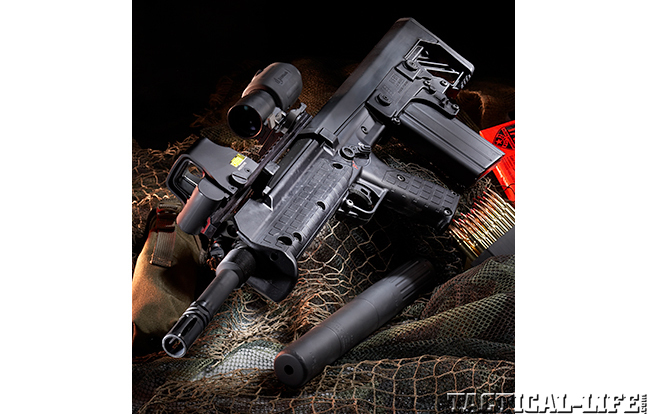 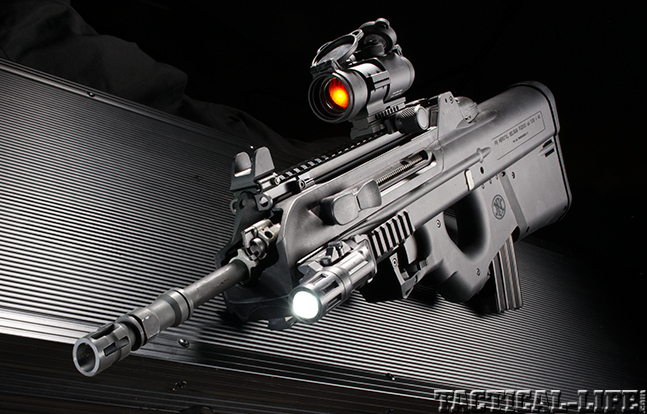 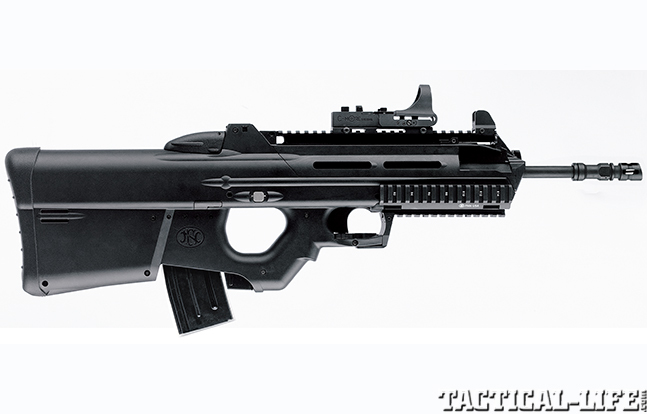 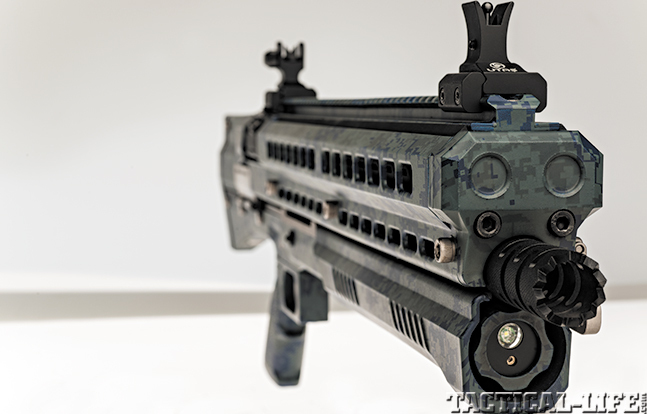 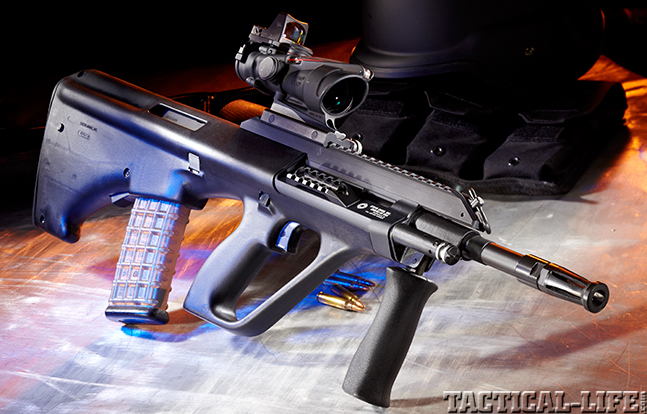 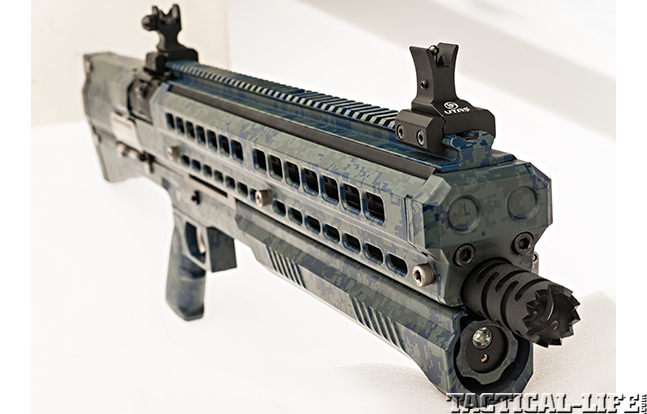 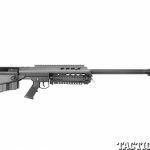 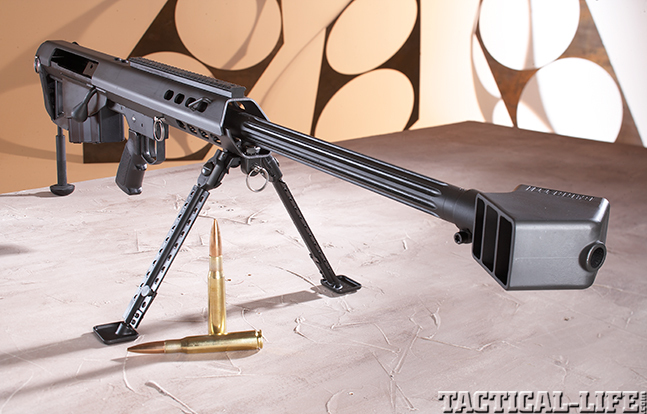 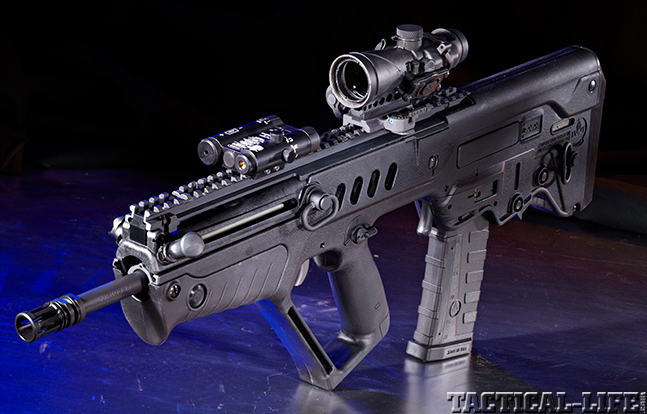 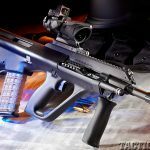 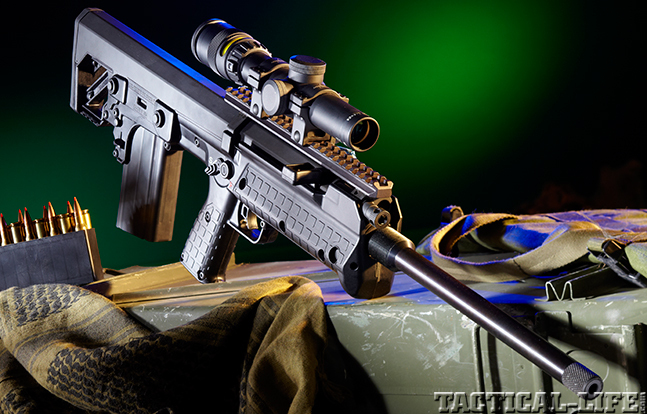 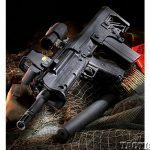 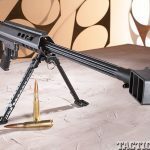 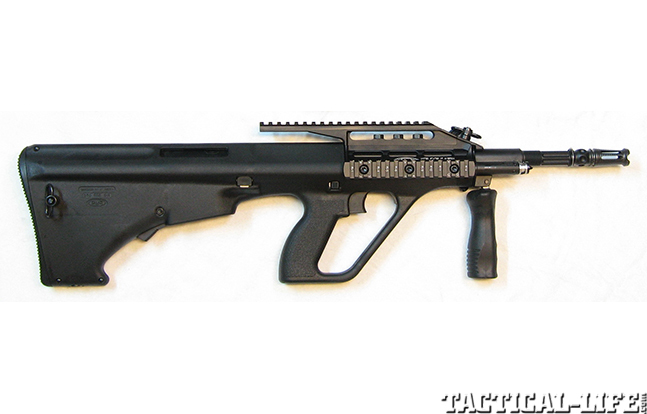 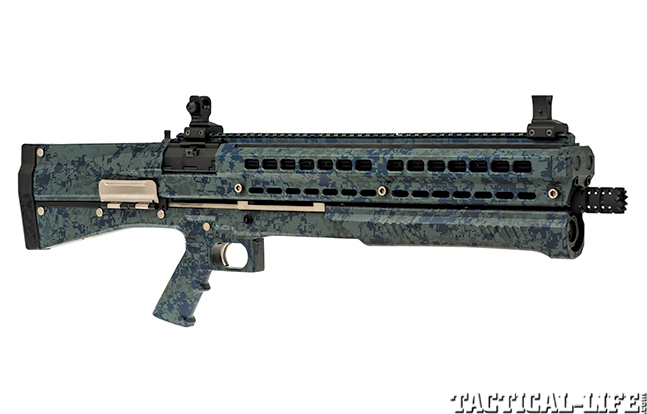 Here are some of the best bullpups on the market. 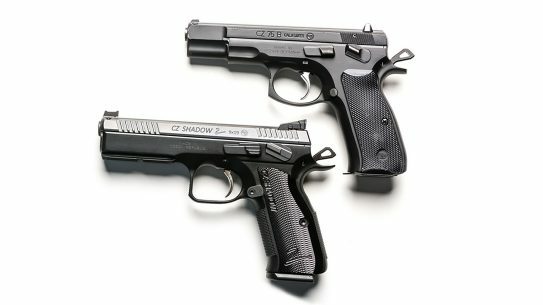 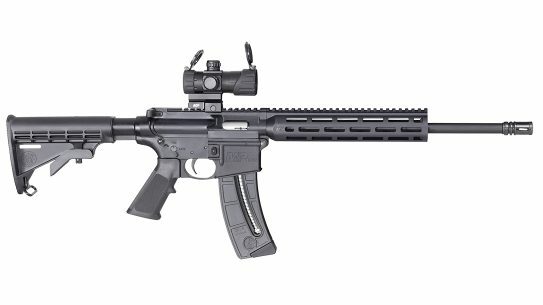 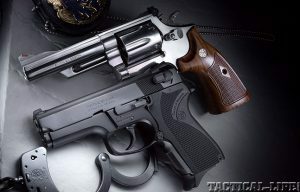 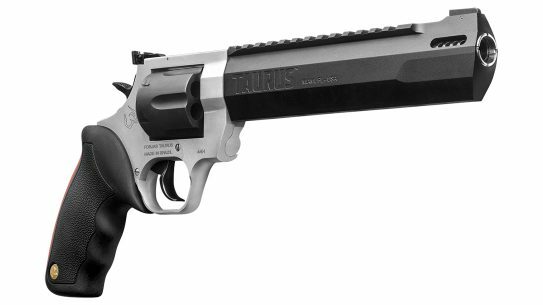 Smith & Wesson's Performance Center restores two street-proven LE warhorses!